NeNe Leakes’ has decided to turn Sheree’s mugshot shade into a new business venture. 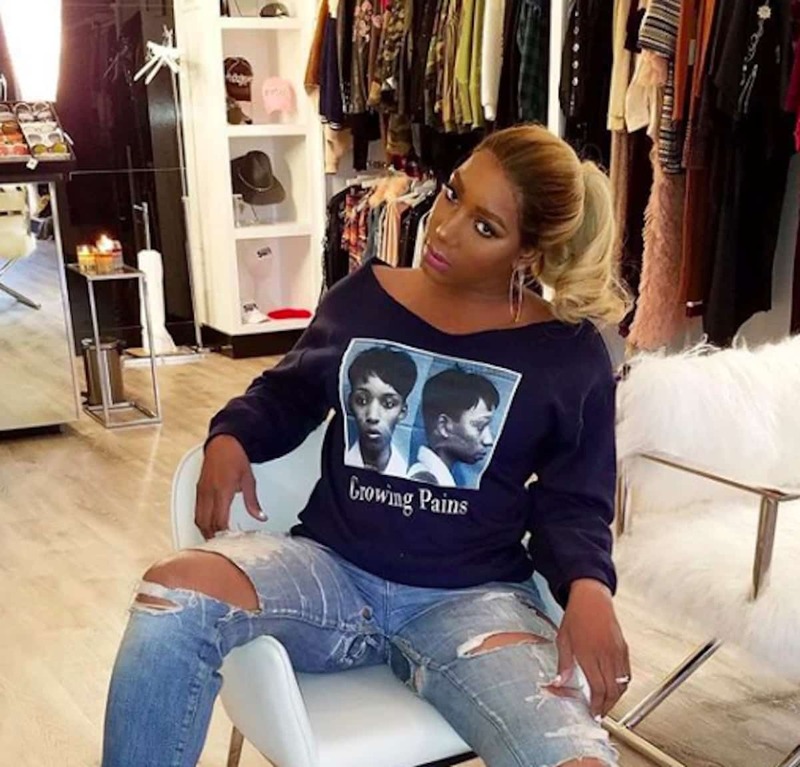 The Real Housewives star debuted the new clothing item with her old school mugshot plastered on the front. The shirts will be sold at her Swagg Boutique in ATL. So we’re glorifying having criminal records now? lol…hey America is at it’s lowest! damn, how much surgery has she had??? Example #999,999,999 of what’s wrong with Amerikkka…the corp aka The Victoria Company has AA credit, and role actors mugslinging…just like politicians. We all have darkness in our past, to bring other’s dirt out without disclosing your own is a waste of time, energy and space. Baby boomers….smh. Glow up and grow up, please. Can’t even imagine buying this and with HER FACE on it, Ugh. This might sale well in Atlanta. Donate those Nene mugshot sweatshirts to the homeless to keep warm this winter! That is one strange looking black woman. Maybe it’s thw fozzy bear nose she acquired.